Get 64% Off At Omaha Steaks! 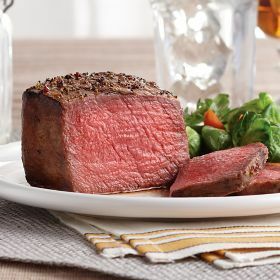 You are here: Home / Great Deals / Get 64% Off At Omaha Steaks! If you like Omaha Steaks or have been wanting to try them, check this out – right now, you can get up to 64% off of your purchase! Head over here to save up to 64% off of select orders PLUS 4 free franks and 4 free burgers! Just click the link to shop, and your savings will be automatically applied! And, you can head over here to save up to 40% off site-wide with code 40OFF! This is a great way to do your meat shopping – get it shipped right to your door! And, you can get more than just steaks. You can grab your hot dogs and brats, poultry, pork, lamb, veal, deli-style meats, appetizers and desserts! I need to use this discount to grab something for my husband to throw on the grill. He would love it!